Pick 6ix was a brand new Asian-fusion restaurant that combined nightlife and sports bar elements under one roof. Associated with Drake, until Insert Marketing was brought on board to advise in marketing strategies, the location for the most part hinged upon its celebrity endorsement. 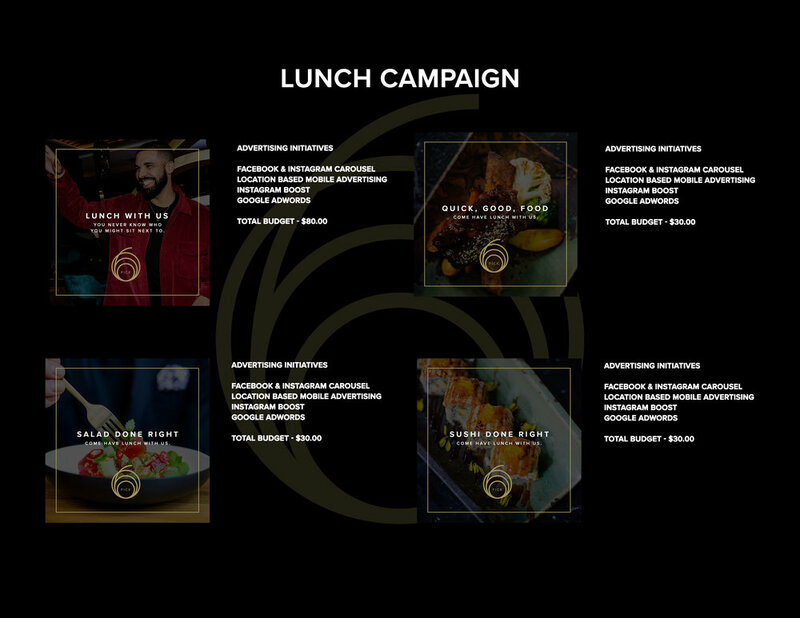 Shortly after the launch of Pick 6ix in Toronto's downtown core, Insert Marketing produced a robust marketing strategy to drive more eyes to the restaurant's menu and culinary objectives. This revitalized brand profile directed awareness away from the established celebrity ownership and in a new route to meet the business' food-focused goals. 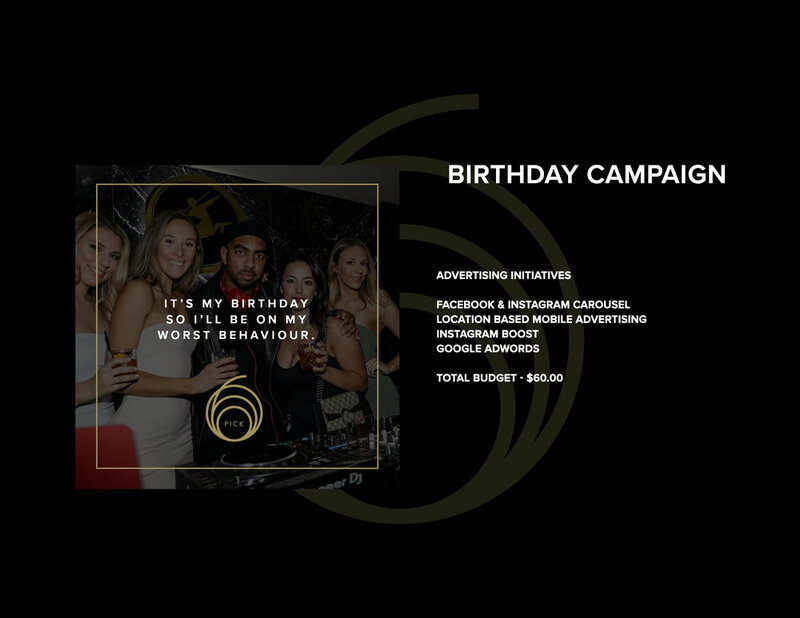 Insert Marketing worked with Pick 6ix for two months to bring a revitalized brand direction to a struggling business that was seen solely as a nightlife/celebrity destination. Pick 6ix wasn’t known for its food, and this focus became our priority objective. We worked with the owners to direct the heavy-handed marketing strategy away from Drake-related content, and in a direction that could better showcase the menu. 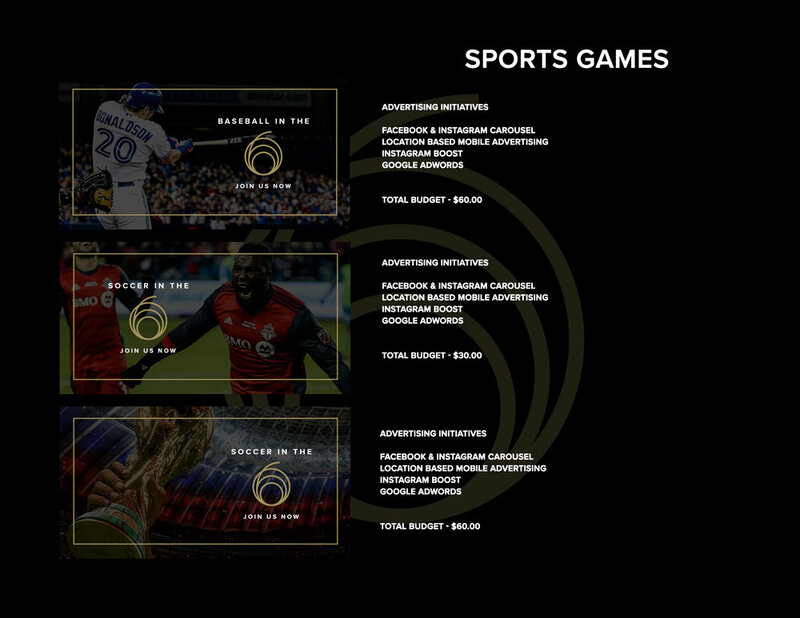 The venue’s social media and digital marketing strategy solely showcased photos of celebrities in attendance, news about Drake, and content surrounding basketball. This wasn’t a feasible direction for a restaurant. In fact, the location saw zero lunchtime customers on some days, and very little afternoon/dinner traffic because of this. Coupled with some bad PR, Pick 6ix was stuck with prime real estate in the middle of the financial district without reaping any of those benefits. We collected content that was food-focus, kept the digital design to a minimum and pivoted this real estate back to driving traffic to the restaurant during these peak times. Our goal for copywriting was to maintain clear objectives, calls to action and engagement initiatives. Only about 15% of the restaurant’s organic following on social media were potential customers (living in Toronto and above 18 years old). Or copy ideation fell in line with the monthly sporting calendar (posting game times for the World Cup for example) while profiling specific menu items on the sushi and Asian-inspired offerings. Hootsuite, Combin, Instagram Automation tool, Adobe Photoshop, After Effects, & premier.